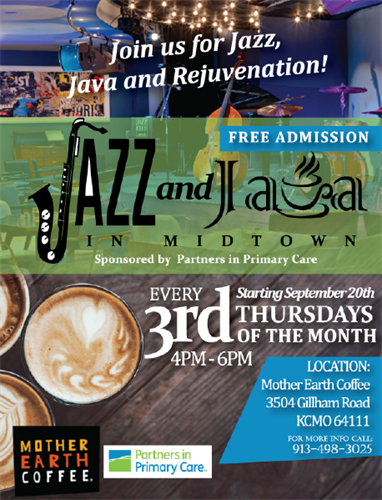 Partners in Primary Care has partnered up with Mother Earth Coffee to offer 3rd Thursday live Jazz, Java and Rejuvenation starting September 20th from 4-6 p.m. Please come out and enjoy some nice smooth jazz, coffee and light refreshments. All are welcome!